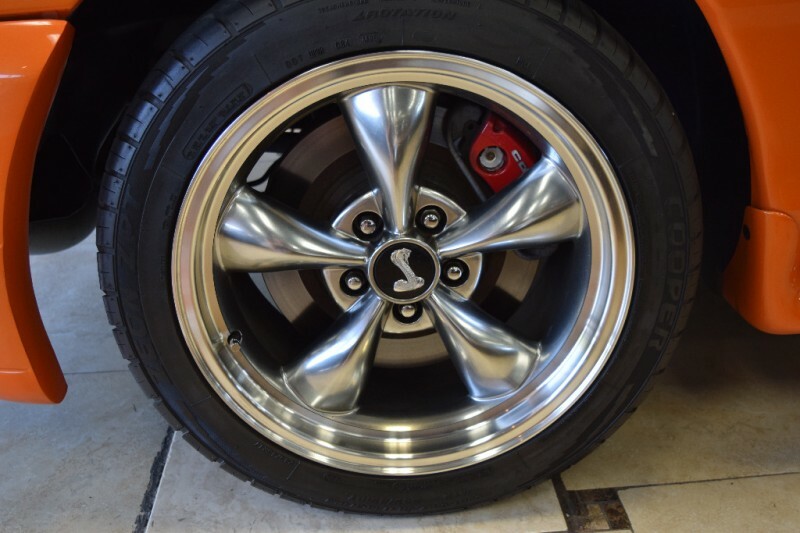 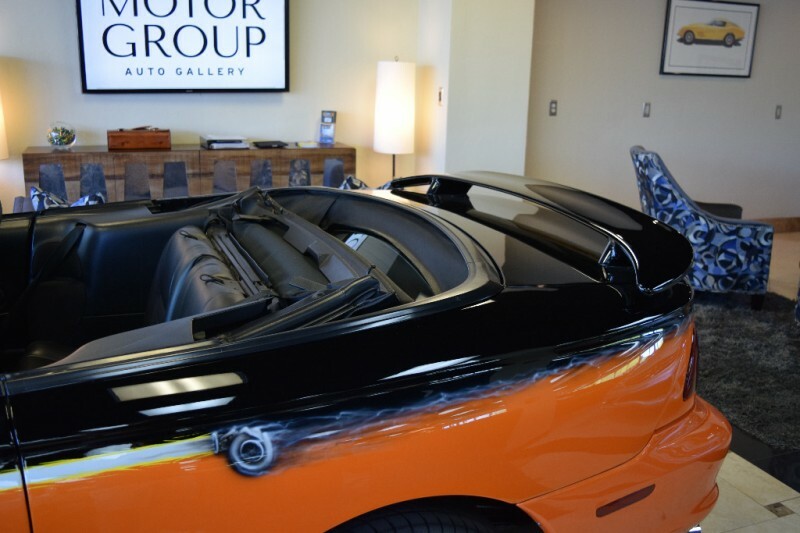 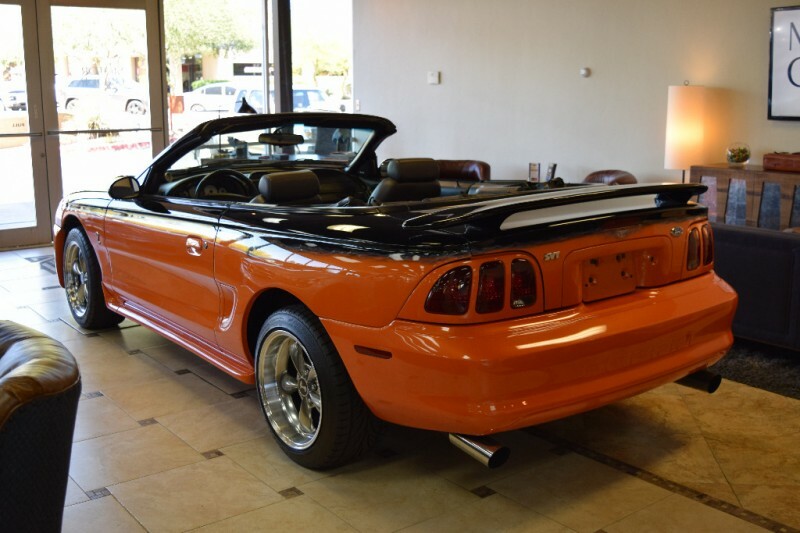 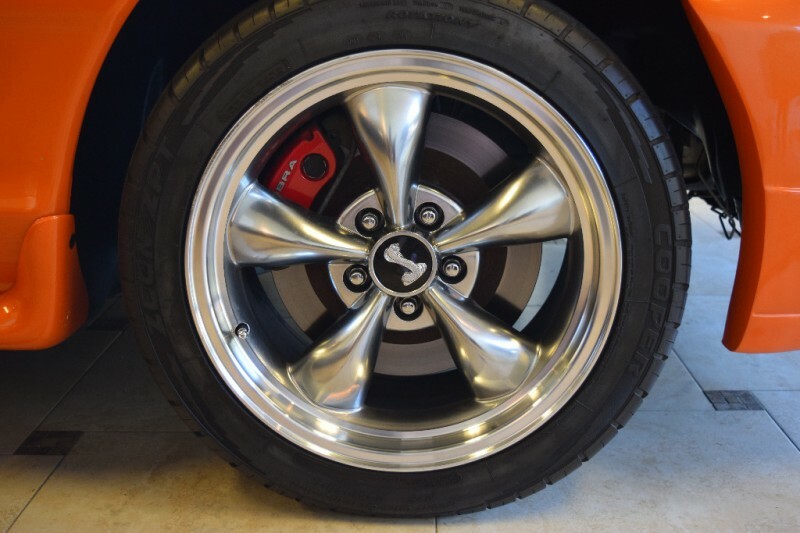 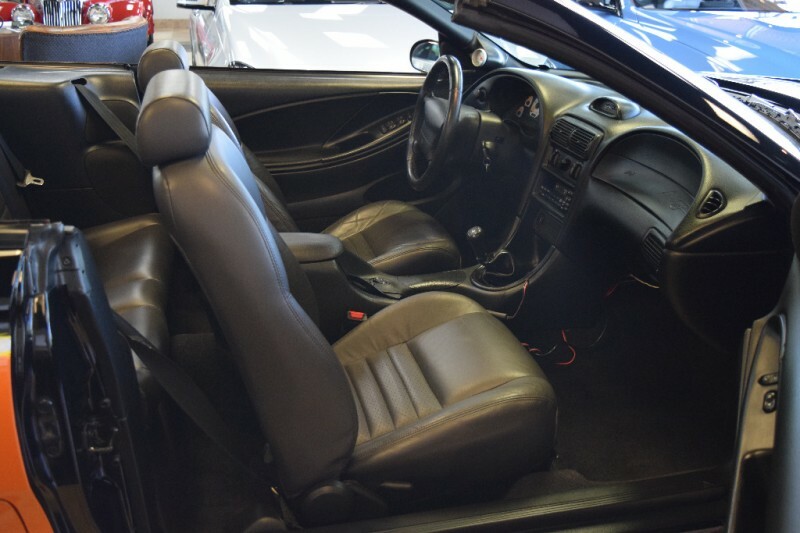 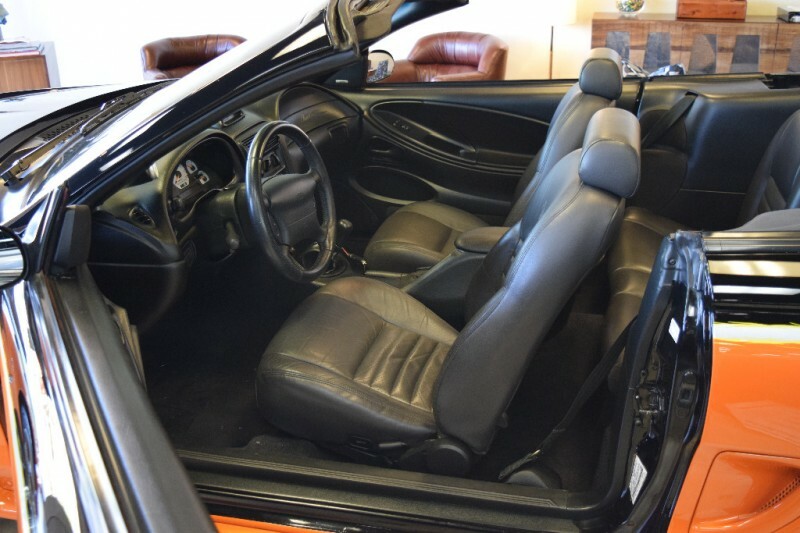 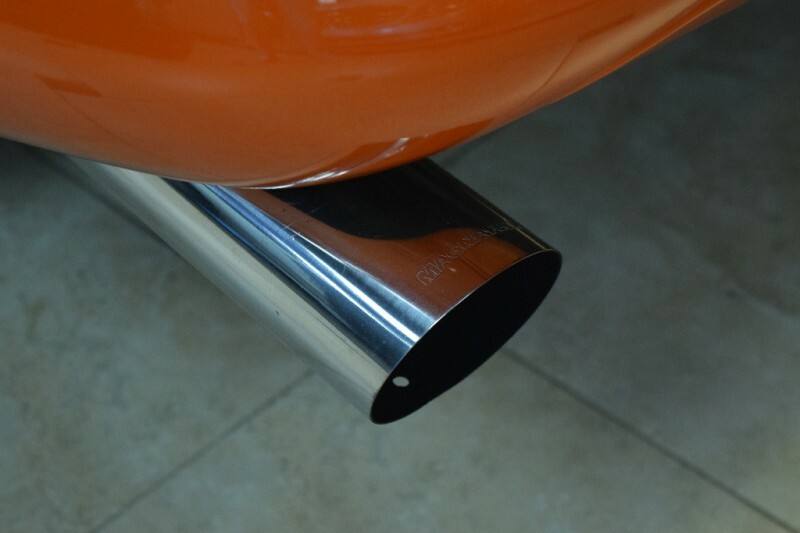 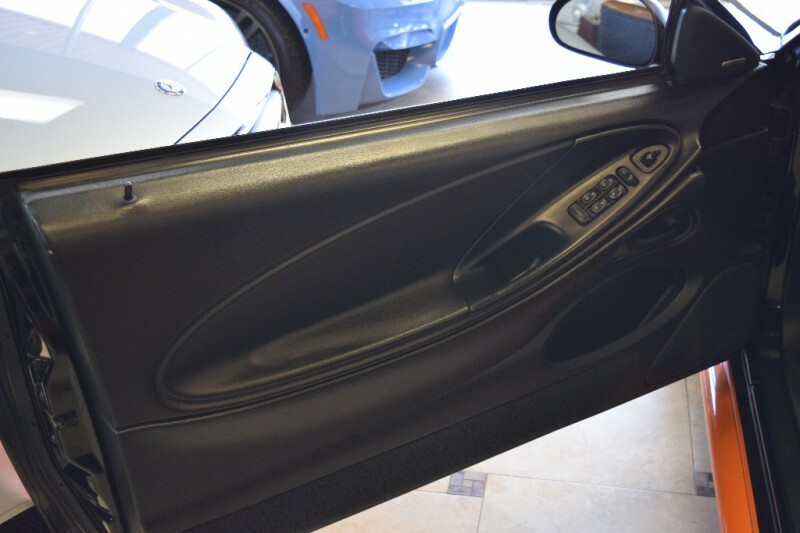 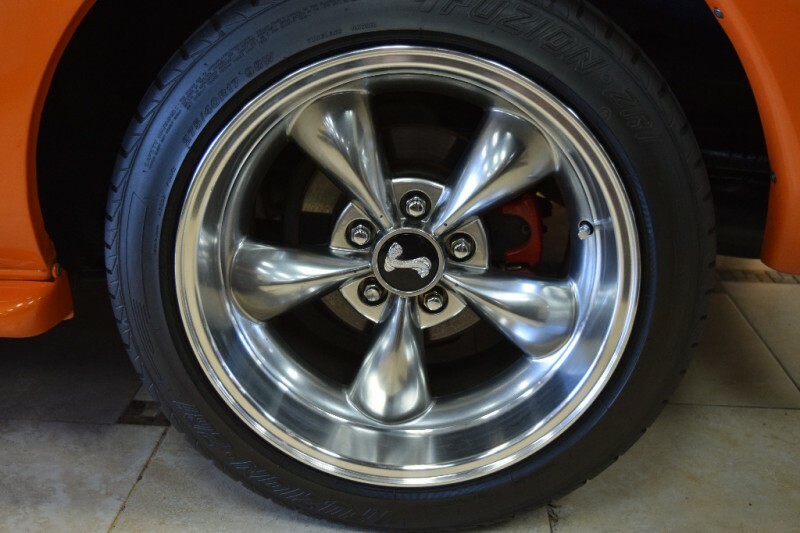 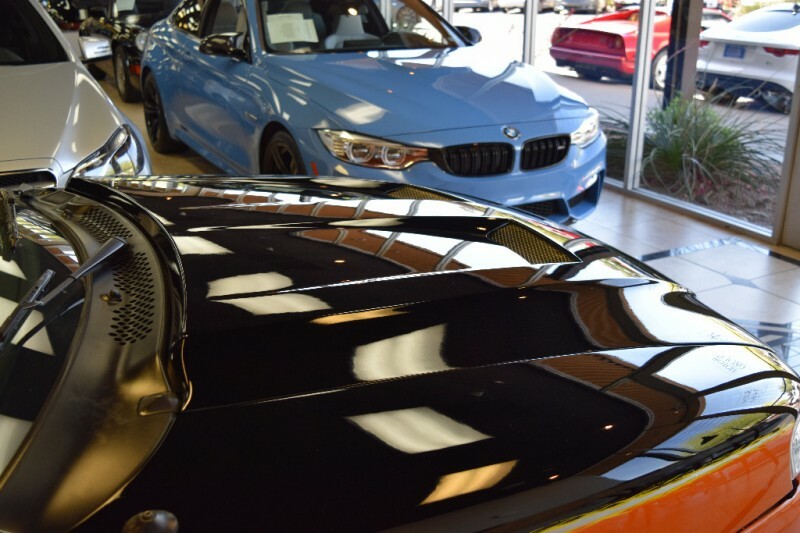 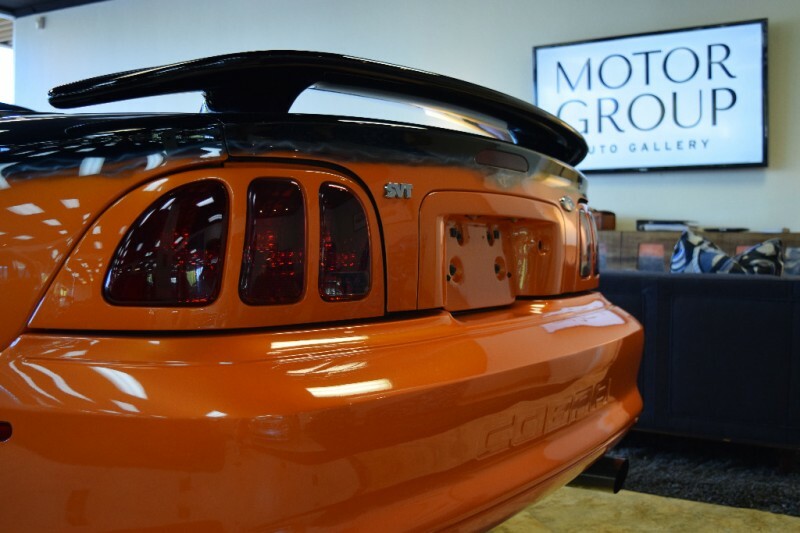 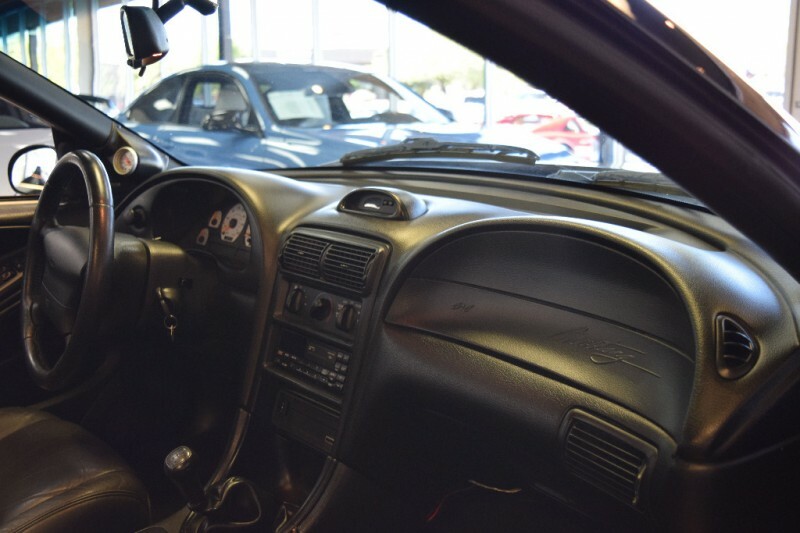 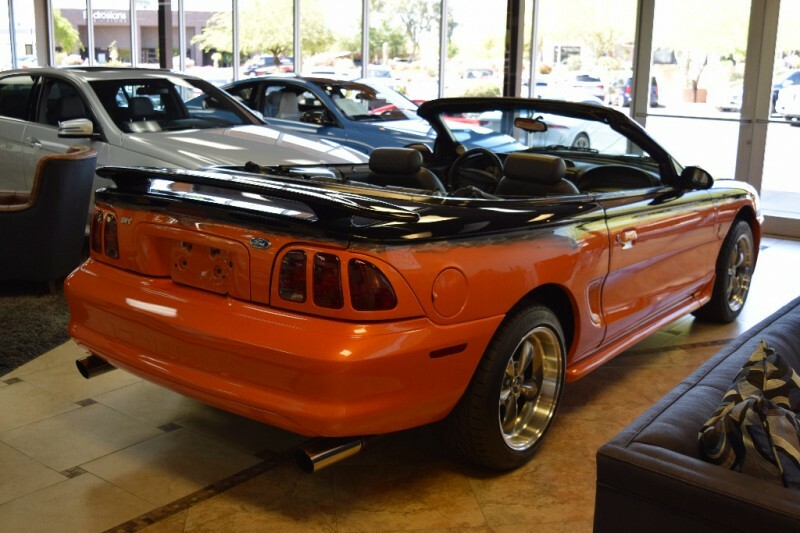 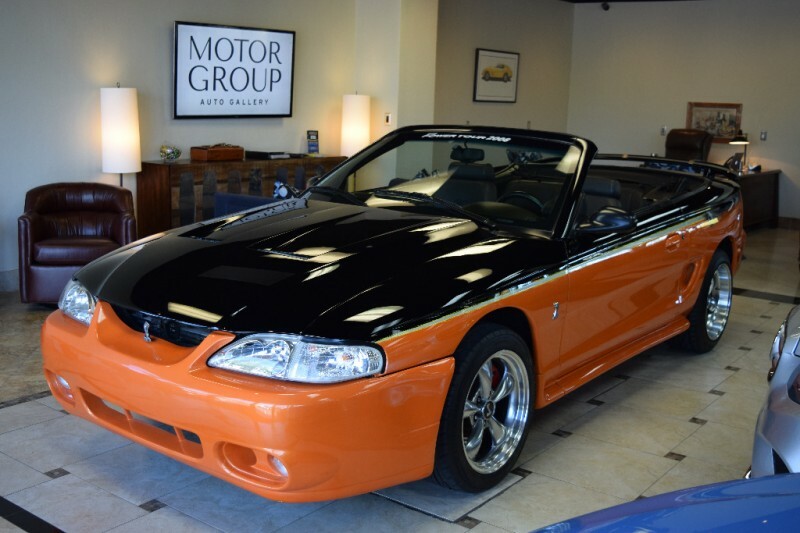 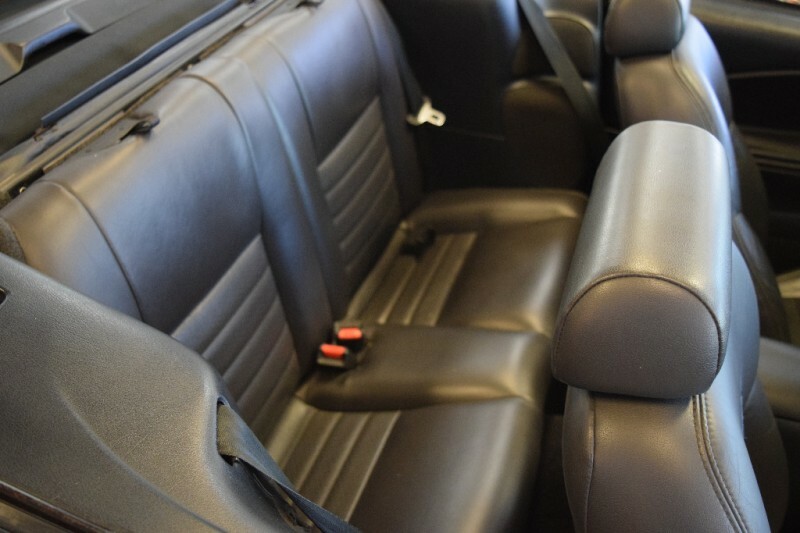 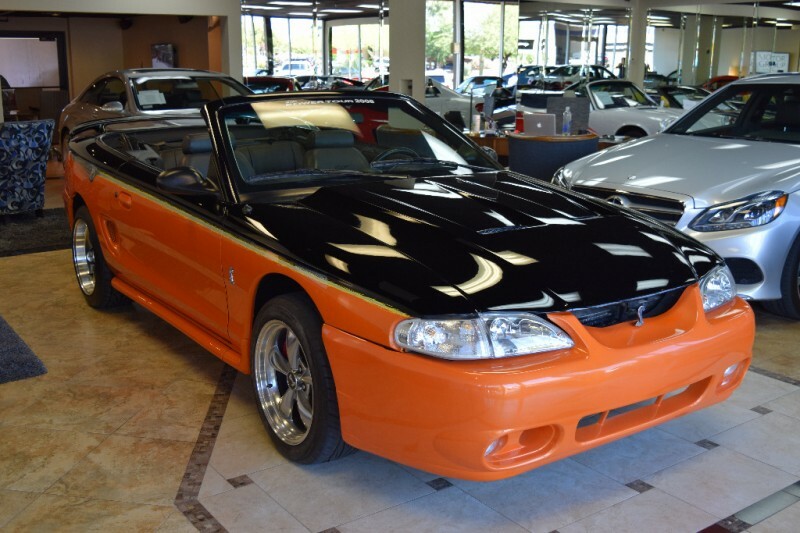 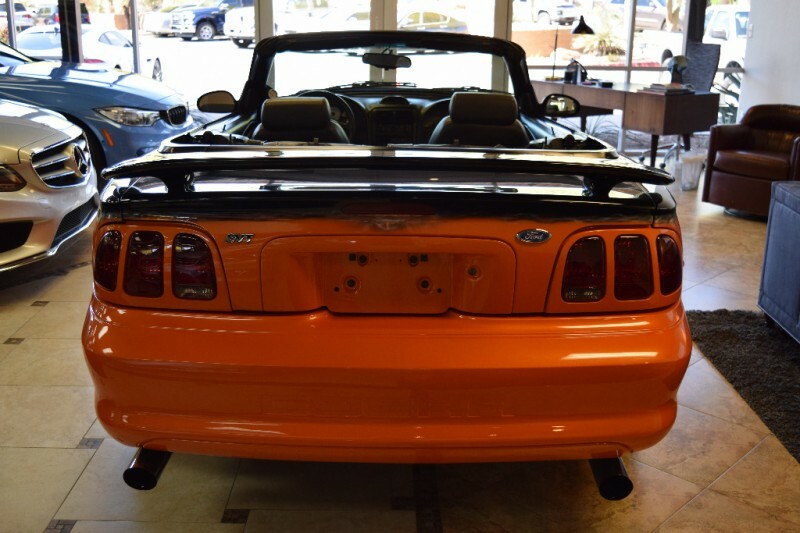 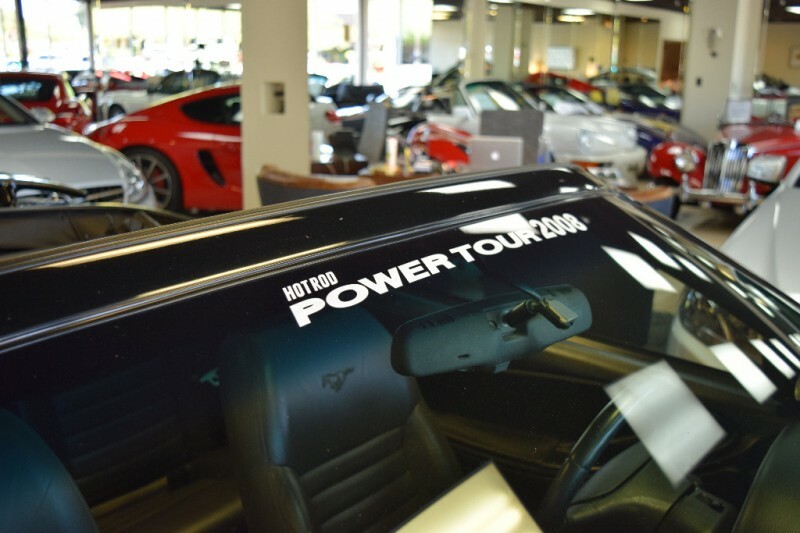 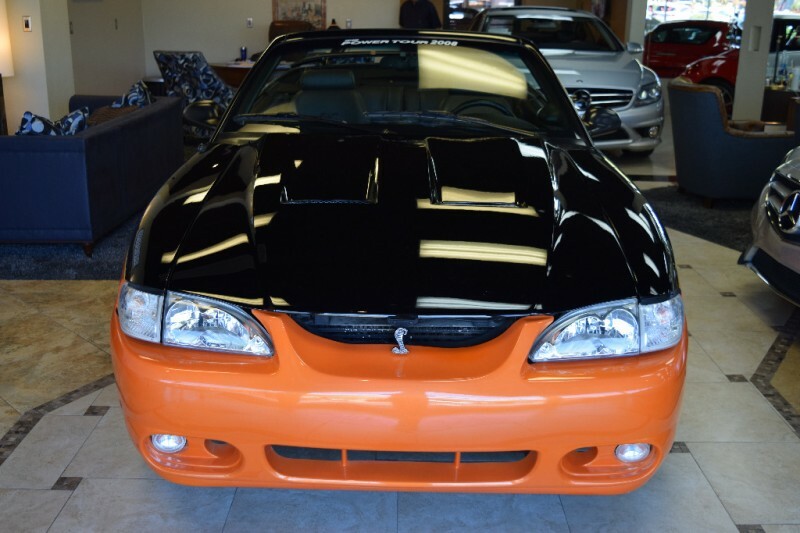 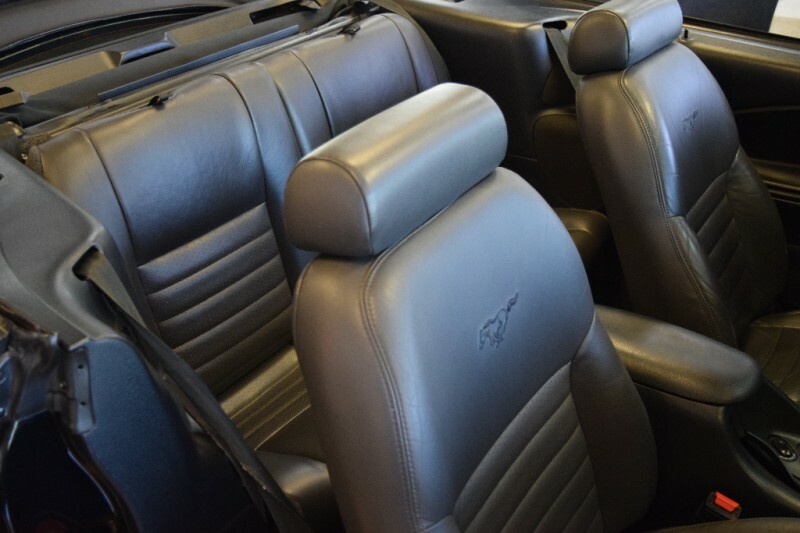 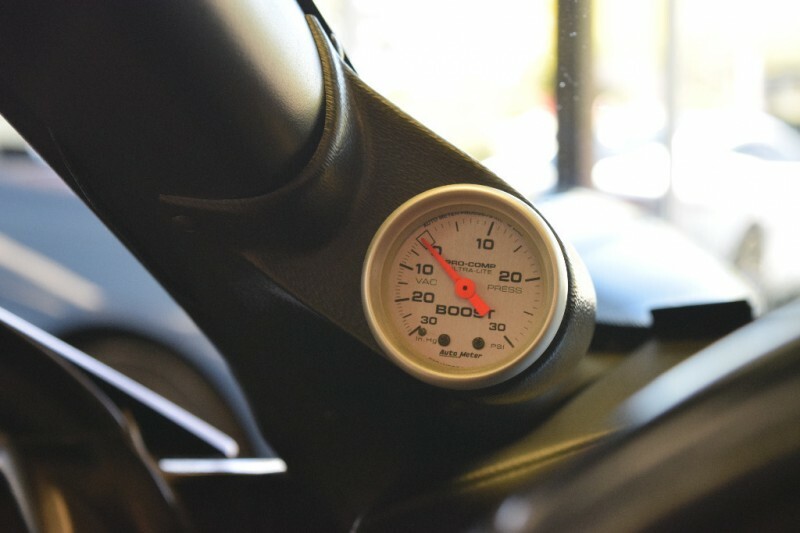 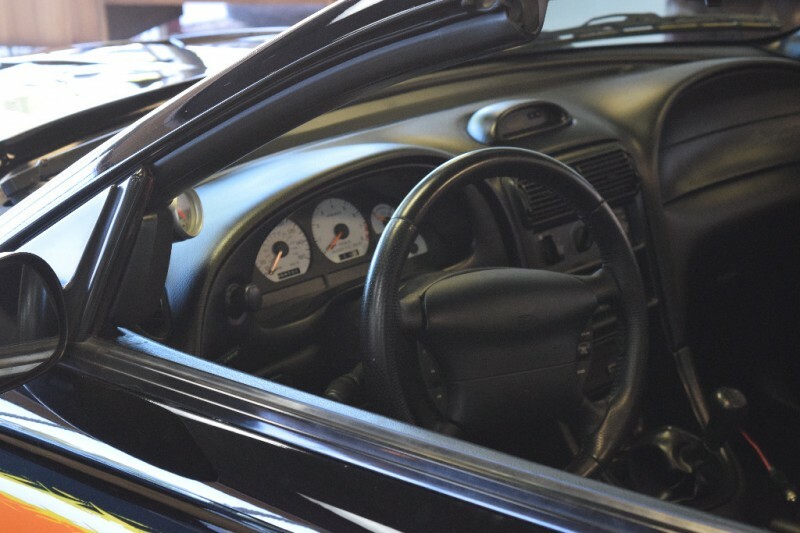 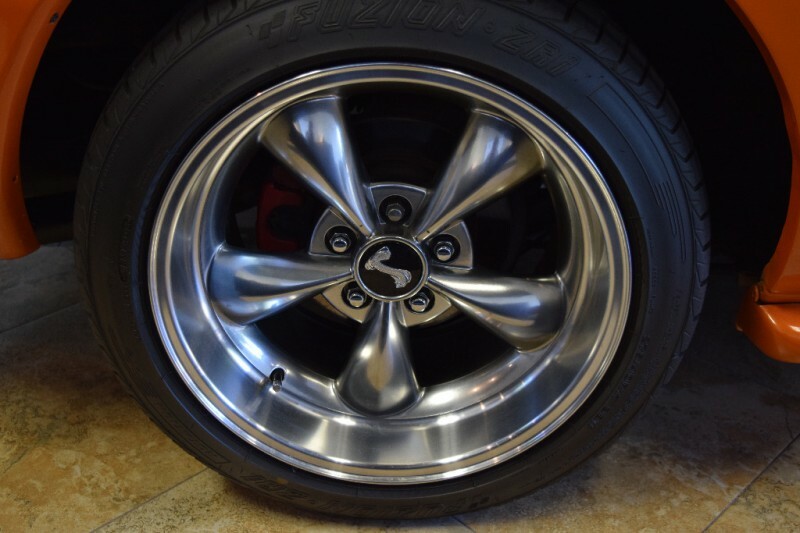 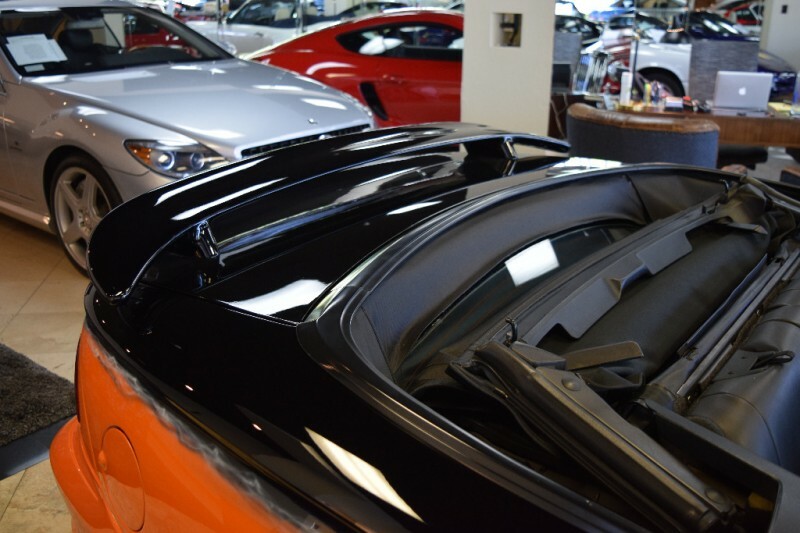 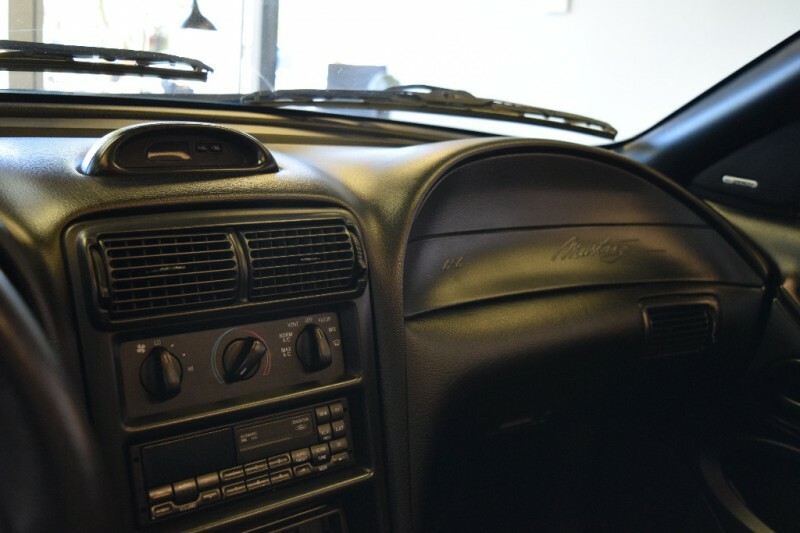 Motorgroup Auto Gallery - 1996 Ford Mustang GT "Restomod"
1996 Ford Mustang GT "Restomod"
1996 Ford Mustang GT / SVT Restomod Convertible, Thousands Invested and striking in Custom Black over Lamborghini Orange bottom, custom graphics, Black Leather Interior, Black Soft Top. 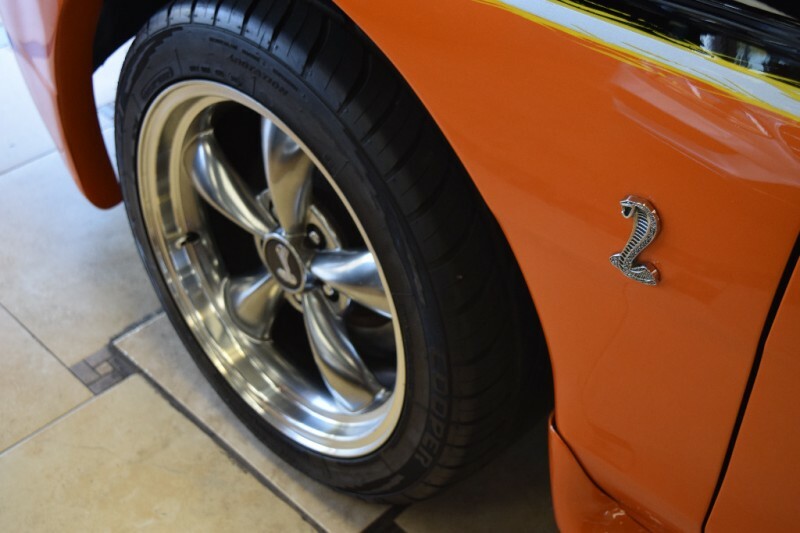 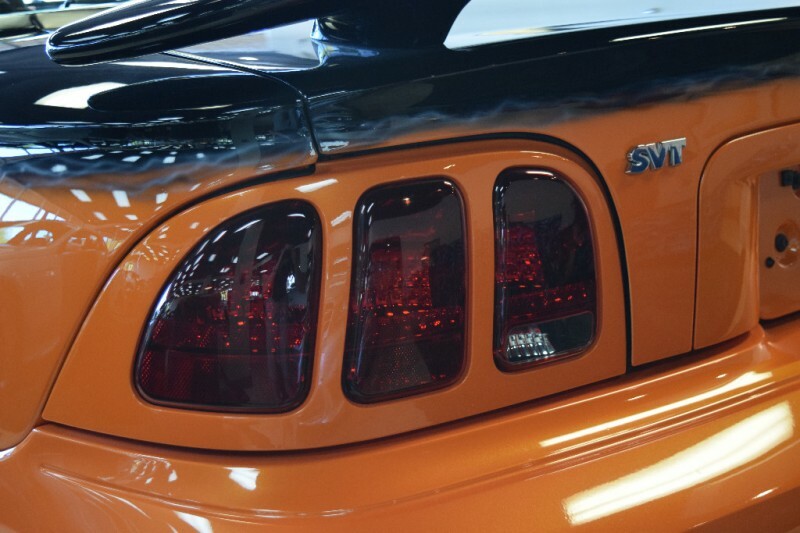 Cobra SVT Body Panels and Badges. 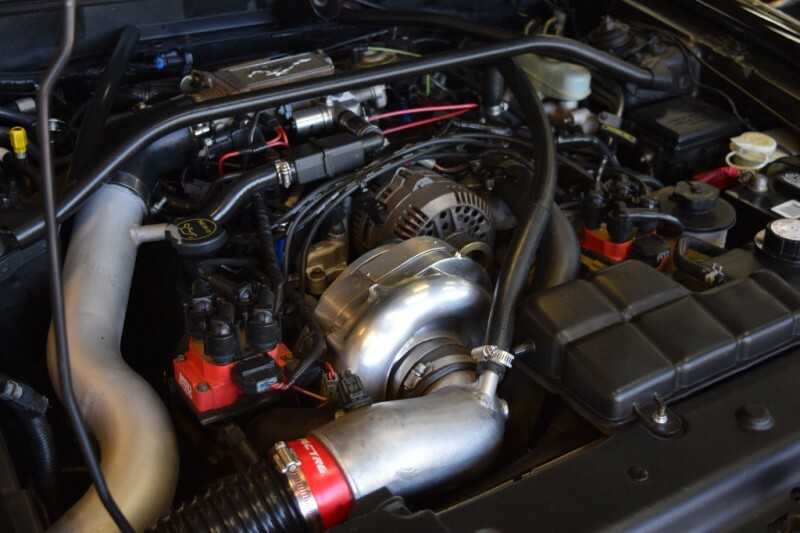 “Gear Heads Dream” with Sean Hyland Motorsports crate motor, 5 Liter stroker with a big bore, Probe pistons, Manley Pro-Series rods, Ford Racing Billett crank shaft, Sean Hyland Stage 5 heads, Stage 2 camshafts, MSD Coils, PROCHARGER STAGE II INTERCOOLED SUPERCHARGER SYSTEM - D-1SC, programmed with SCT XCal2 Programmer, Ford Racing Flywheel, Steeda Tri-Ax Race Short Throw Shifter , Stage 5 clutch with rebuilt T45 Transmission with 8.8 355 Trak-Lok Rear end, PBR Anniversary Cobra Brakes, it’s a beast…640HP, 550 ft lbs of Torque, plenty of right foot ! 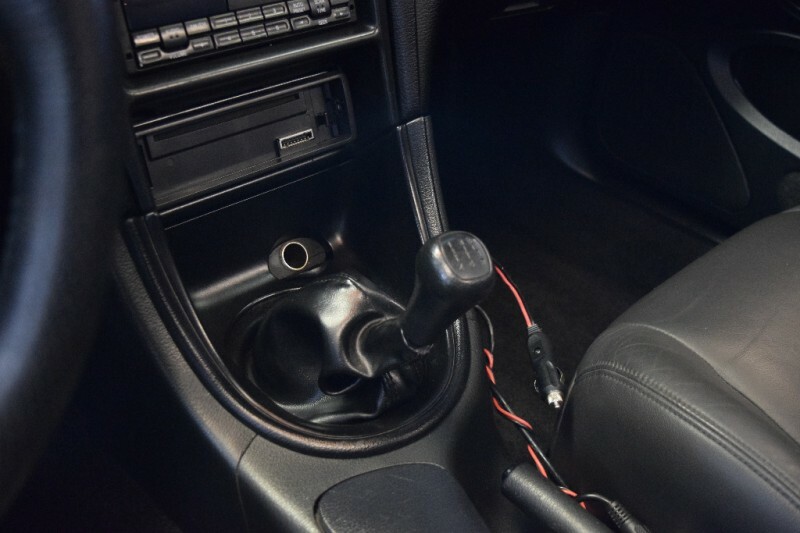 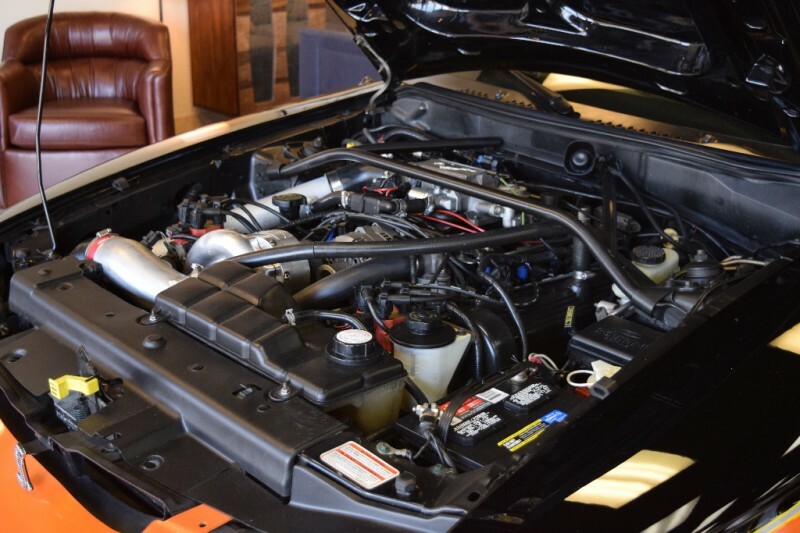 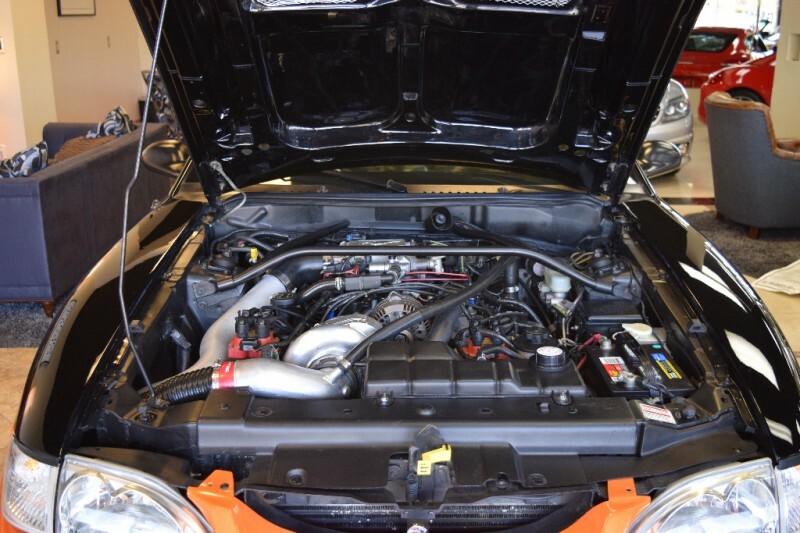 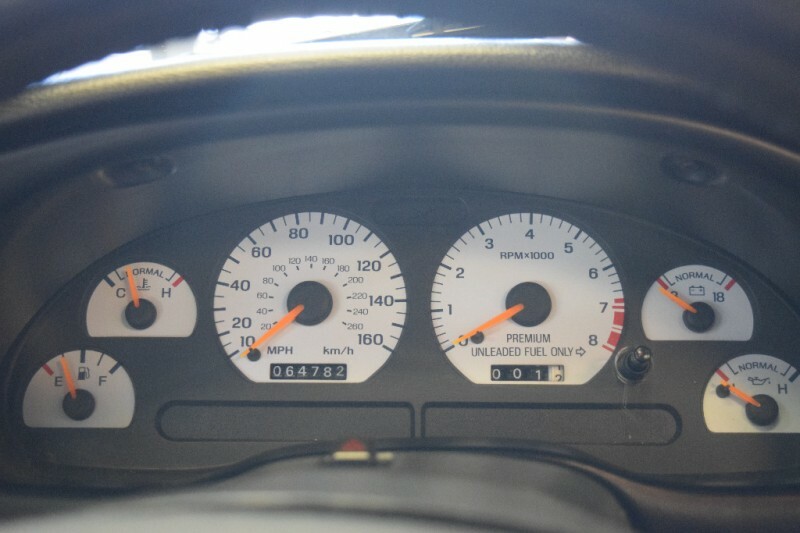 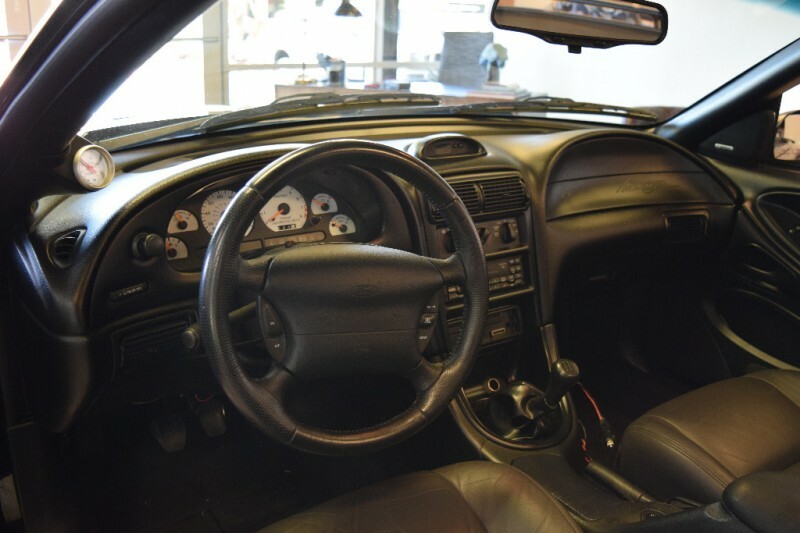 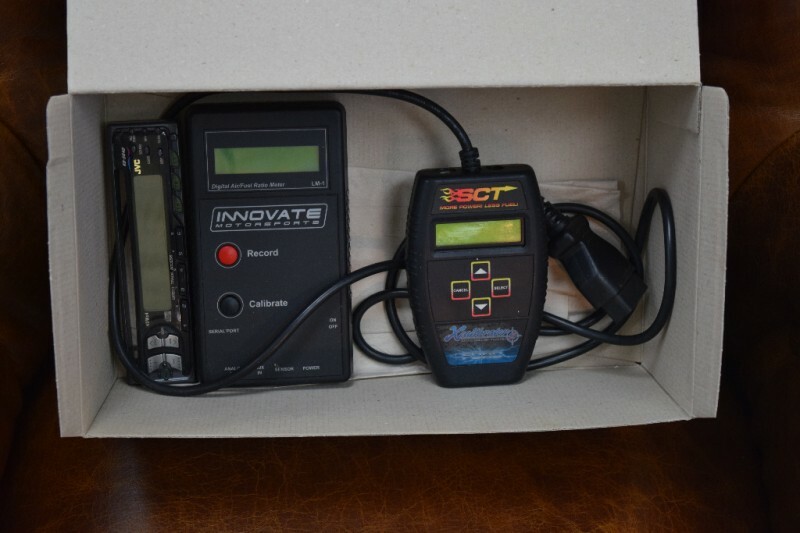 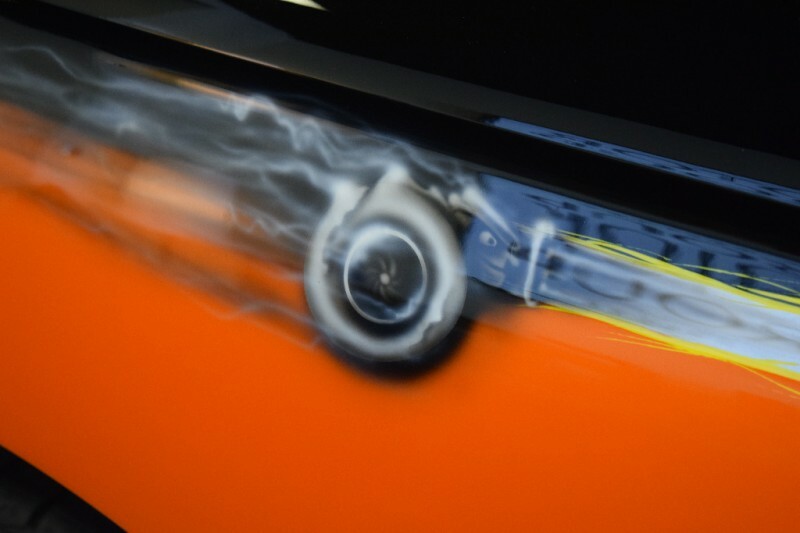 Build completed in 2008, car has been stored and driven very few miles since completion.